According to the latest report from Bloomberg, Apple is planning to unveil an overhauled and improved version of its Apple Music streaming service at their Worldwide Developer Conference (WWDC) in June. 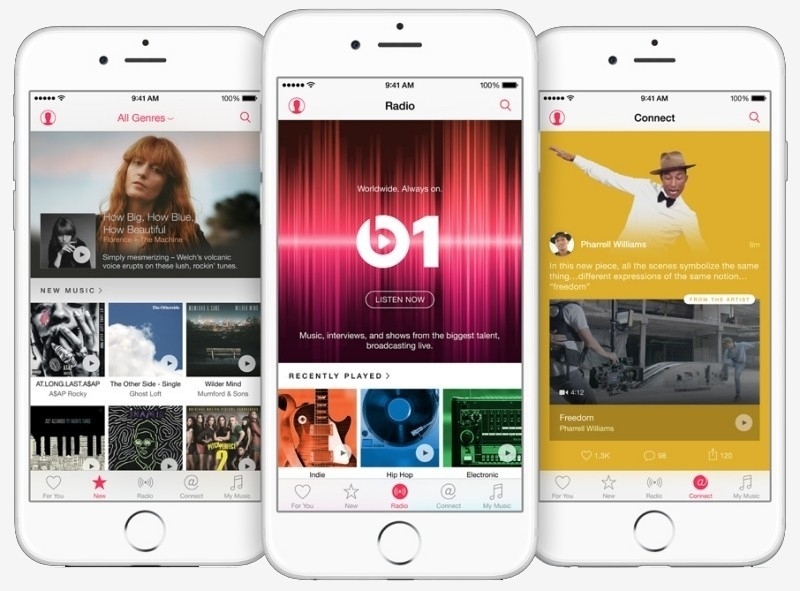 The revamped version of Apple Music will reportedly include an all-new interface that's "more intuitive to use". The company will also improve the integration between their music streaming and download services, and online radio features will be expanded. To those who closely follow or use Apple Music, it's no surprise that the company wants to improve the service in the near future. Apple hasn't really added any new functionality to Music since it launched last year, despite many criticizing it for a lack of features compared to other music streaming services like Spotify. Apple will launch a big marketing push for Apple Music alongside the release of the overhauled service. While Music currently has around 13 million subscribers, Spotify enjoys a paid subscriber base around 30 million, with 75 million in total listening on an active basis. The marketing push will help Apple claim a bigger slice of the music streaming pie. Alongside a revamped Apple Music, Apple is expected to unveil new versions of Mac OS X and iOS at WWDC. There's also a change we may see a new version of the MacBook Pro as well as the Apple Watch.